2009 Vincent Girardin Gevrey-Chambertin, popped and poured at Bistro 103, 4 Sep 2013. For sure, the ripeness of the fruit in this outstanding vintage eventually emerged later, but it continued to struggle behind a veil of new wood and notes of earth and forest floor that added to the overall sense of a darker tone, whereas bright cherries with greater fat and suppleness would have served this wine better, which lacks distinction and identity at this stage. Needs more bottle time. 2010 Domaine Denis Mortet Bourgogne Cuvee de Noble Souche Rouge, popped and poured at Ming Kee Live Seafood, 6 Sep 2013. In spite of its generic status, it ticked many of the right boxes, displaying a good deal of red fruits and cherries imbued with substantial salty minerality and fat in the mid-body, weighty enough, yet delicate in balance. Possesses a lot more identity than the Bourgogne of Vincent Girardin. A steal, I’d say, at SGD48. 2004 Ch Preuille, decanted at Bedrock Bar & Grill, 9 Sep 2013. This cru bourgeois was served on board Singapore Airlines Business Class not too long ago. Didn’t seem too promising initially with substantial bottle stink. This eventually gave way to notes of cedar, blackberries and violets underscored by a fair bit of graphite minerality, carrying decent weight and depth of fruit, supple and fleshy without real complexity. A good table wine, but one is spoilt for choice at this price range. 1993 Carpineto Vino Nobile di Montepulciano, yet another two bottles popped and poured at Otto Ristorante separately 10 and 18 Sep 2013. Interestingly, each came from a different lot. One was noticeably darker and more earthy compared to the other. Plum, some licorice and pruny characters dominate, just lacking in sparkle and vibrancy compared to its twin, although both eventually gelled very well with further aeration and food. 2009 Domain Road pinot noir, popped and drunk over 4 hours at Jade Palace, 14 Sep 2013. It took its time to unfurl its true colors, but when it did, it was well worth waiting for, displaying an abundance of dark cherries and raspberries with lifted aromas, possessing a good deal of oiliness in the mid-body that is usually associated more with Old World burgundy from better estates, fleshy and supple, though probably just a shade more forward, betraying its New World origin. Excellent stuff for sure, but make sure to give it ample time in the glass. 2011 Wynns Coonawarra shiraz, aired in bottle for 30 minutes prior to serving at Jade Palace, 14 Sep 2013. Sometimes, I actually prefer cool climate shiraz over its warmer Barossa cousins and this bottle is a good case in point. Inky red with a hint of vermillion at the edge, generous with notes of licorice, aniseed, earth, herbs and forest floor with excellent depth of fruit without any spicy edge nor alcoholic trail in spite of its youth. Good stuff. 2006 Domaine Leflaive Puligny-Montrachet (courtesy Hiok), popped and poured at Tomi (specialising in sushi), Millenia Walk Singapore, 18 Sep 2013. Saturated with chalky minerality, cream and vanilla, well-balanced against notes of white roses and delicate citrus with an added depth on the palate that is the hallmark of Leflaive, although, at this stage, it is still a tad unresolved in the mid-body, yet to develop any real complexity. 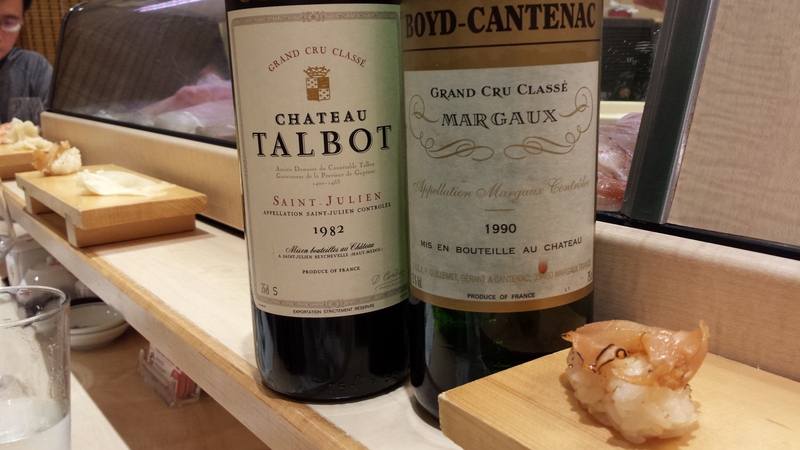 1990 Ch Boyd Cantenac, popped and poured at Tomi , 18 Sep 2013. Fully-matured, soft, medium-bodied, fleshy, the dryish tone of Bordeaux offset by notes of violets, cedar, blueberries and dark currants with substantial depth, rather more masculine than usual for a wine from Margaux. Stayed the course throughout dinner with a quiet intensity. Unlikely to improve any further, but will continue to remain at its peak for many more years. Very fine. 1982 Ch Talbot (courtesy John), aired in bottle for some time at Tomi, 18 Sep 2013. A great pleasure to finally taste a particular wine that I’ve read a lot about, for Talbot in its youth can be stern and discouraging whilst a well-aged one, not to mention from its finest vintage, is the complete opposite. A full-on assault of sweet earthy aromas is equally matched by the charm of glorious ample fruit on the palate, unashamedly old-fashioned with plenty of cedar, cinnamon and old leather in full measure, warm and expansive. No hint at all that it may drop off the cliff anytime soon. Delightful. 2007 Dog Point Section 94 sauvignon blanc, popped and poured at Choon Seng Punggol Seafood, 21 Sep 2013. Highly generous at the first whiff with effusive notes of enamel, coconut, yellow citrus, lime and a peculiar sweet pungency not unlike durian, something that I’d previously noted about this wine. Most of these passed after some time, though the wine didn’t really quite settle, the minerality a tad overwhelming almost to the point of hardness, obscuring the fruit beneath, tapering towards a hint of bitter lemon and pomelo towards the finish. My last bottle. I used to like this wine, but it seemed rather superficial now. 2009 Redvale shiraz cabernet, popped and poured at Imperial Treasure T3, 25 Sep 2013. As expected, this Aussie red is saturated with notes of enamel, varnish, vanilla, peppermint and menthol, so much so that whatever fruit lurking beneath had little chance of emerging. Smells and tastes exactly like cough syrup, just managing to avoid being outright unctuous in texture. Avoid. 2006 Seppelt Salinger pinot noir chardonnay, popped and poured at Ben’s BBQ, 27 Sep 2013. Usual notes of white citrus, green apples and pomelo in this sparkling wine, weighty and dry, the pinot noir no doubt contributing to a darker shade of smoke and steeliness in the mid-body, the wine coming across as bold but square without much complexity. 2007 Seppelt Original Sparkling Shiraz, popped and poured at Ben’s BBQ, 27 Sep 2013. Notes of dark plums, raspberries and forest floor. Carries good weight, but it would be idle to pretend that this is, in any way, equivalent to Rockford’s Black Shiraz. 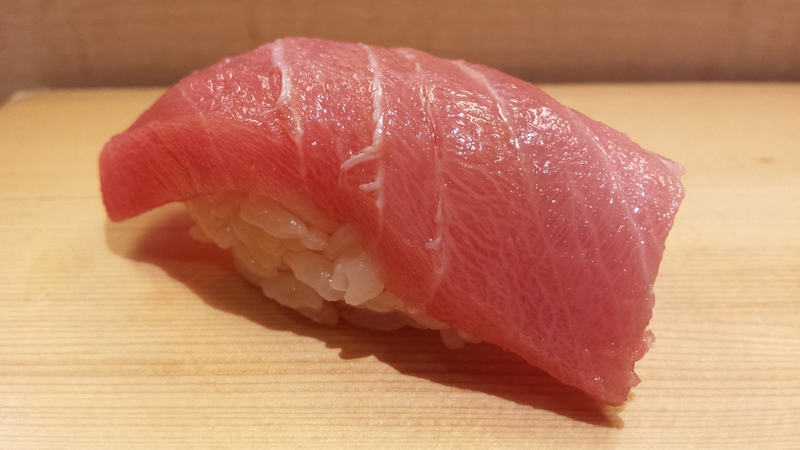 Straightforward, lacking in complexity, but it served the medium-rare Grade 9 marbling Kobe beef nicely. 2008 Inniskillin riesling ice wine (courtesy Jeannie), popped and poured at Ben’s BBQ, 27 Sep 2013. Very attractive dull golden hue, saturated with notes of apricot and honey with a sweet intensity that was somewhat overwhelming. Lacks the complexity and layering of its German counterpart.